Before we begin, I sincerely hope you’re not suffering from food poisoning as we speak. Sure, it might not be as dangerous as what we conventionally refer to as poison (cyanide, rat poison, etc. ), but mark my words – It can be just as painful and even fatal in some regards. And yes, the symptoms will weigh heavy on you. But here’s an often overlooked fact; did you know that food poisoning isn’t always caused by the food that you ate last? In fact, chances are that the cheese you ate two hours ago was totally fine. It’s actually the burger you ate yesterday that’s causing you so much stomach ache and discomfort. Food poisoning symptoms can take up to 72 hours and at times even weeks before they manifest. It all depends on the bacteria or virus behind the ill deed. Alright, that’s enough spoilers for now, don’t want to get too ahead of myself. As you’ve already guessed, we’ll be debunking all the myths behind food poisoning by hitting you with hard, true facts. Well what are you waiting for? The fun’s all downstairs, so to speak (no pun intended). Hold up just a bit. Now, before we sink our teeth deep into today’s topic (see what I did there, what with the food and sinking of teeth into it :-), I feel it is important to point this out. In recent years, food safety has been making major headlines one too many times. I can’t count the number of time I’ve read or heard about mass food poisoning at an event or restaurant. With all the commotion and bad publicity, it’s almost impossible not to be suspicious of every single foodstuff you put in your mouth. Even well established, giant food companies aren’t immune to allegations of contaminated foods. So whatchu gonna do Olivia, stop eating? Nope, the only way to truly defend yourself and protect your family from food poisoning is by staying woke – staying informed and educated about all things food. So that’s exactly what we’re going to do. Also referred to as food borne illness, food poisoning results from eating or drinking contaminated foods and water. In the U.S alone, the CDC estimates about 48 million cases of food poisoning every year. This can be translated to 1 in every 6 people annually. Yes, these figures are high. Heck, even the World Health Organization is concerned about it and is constantly starting projects to combat foodborne illnesses. As I mentioned earlier, different food borne illnesses have varied incubation periods (the time it takes before the symptoms manifest). This time may vary from days to weeks. Most people experience vomiting, nausea, severe stomach pain and the dreaded explosive diarrhea. Generally, foodborne illnesses will go away on their own for most people. But from time to time, patients are hospitalized with severe food poisoning. Foodborne illnesses are known to be difficult to track. This is mainly because two persons with the same pathogen in their system will react differently to it. How your body will react depends on the number of pathogens ingested along with contaminated foods as well as your immune system – how formidable it is. But regardless of these factors, individuals who are at a higher risk of getting food poisoning include pregnant ladies, infants, the elderly, and persons with compromised immune systems. 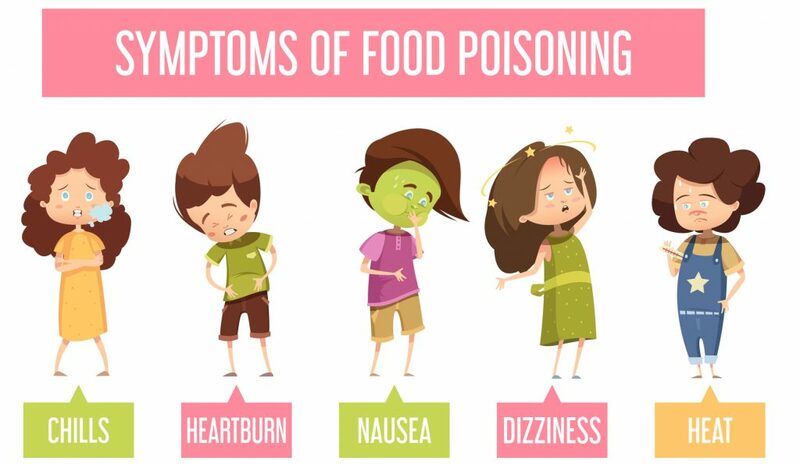 People with food poisoning will experience some (for the unlucky ones, all) of the following symptoms. As previously mentioned, the symptoms experienced vary with the cause of illness (pathogen). But we’ll have a look at these later on in this piece. This is usually referred to as the stomach flu and is actually more common than we think. As a matter of fact, close to half of all foodborne illness cases in the U.S are caused by this pathogen. Norovirus works its magic even when it is not ingested through contaminated foods. Touching doorknobs and other contaminated surfaces, or an infected person are enough. 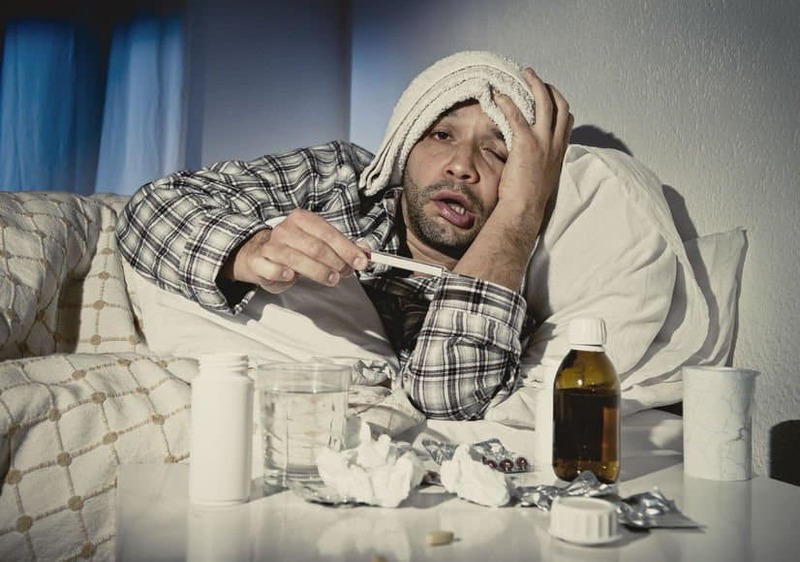 If any of the family members have this flu, you should do your due diligence and wipe down the surfaces. Normally, symptoms from this pathogen will take about 12-48 hours before they manifest. Once they appear, the symptoms will weigh down on you for about 1-3 days. This name actually refers to a group of bacteria that usually thrives in undercooked meat and eggs. However, you can also acquire salmonella from cheese and unpasteurized milk. Some of our beloved fruits and vegetables including sprouts and melons may also contain these pathogens. Symptoms as a result of these bacteria start between the first and third day after ingestion and can last for up to 7 days. These bacteria tend to show up mostly when foods are made in bulk such as in nursing homes, cafeterias or catered events. Cooking will kill these bacteria, but the spores will remain. What this means is that once the food is ready and the temperatures fall down to favorable levels, new bacteria can grow from the spores. You can acquire Clostridium perfringens from chicken, gravy, and beef. Courtesy of this pathogen, you may experience diarrhea and cramps – that’s just about it. The sickness lasts for between 6 and 24 hours. In a few days, you are as healthy as a horse. Campylobacter usually comes from unpasteurized milk, undercooked poultry and at times water. The symptoms may take between 2 and 5 days to appear. But once they appear, you should be feeling better between 2-10 days after. Do note that in serious cases the symptoms may include blood in diarrhea. This name refers to bacteria found in animal intestines. You can ingest E.coli from undercooked beef (ground beef), sprouts, unpasteurized milk, or just about any liquid or food that has been in contact with animal faeces. Somme E.coli strains are harmless but others are warriors – super deadly. This bacterium is quite unusual, even by bacteria standards. It can survive in cold temperatures. As such, it feels at home while in the refrigerator. It is often found in raw and unpasteurized cheeses, smoked fish, ice creams, hot dogs, deli meats, and pates. Pregnant ladies and individuals with weakened immune systems may get sick from a mild infection in a day. Others, even with higher and more serious levels of listeria infections may not develop symptoms for weeks or even months. In addition to vomiting and diarrhea, listeria tends to cause some unusual symptoms including confusion, weakness and stiff neck. The bacterium is deadly. When experiencing a fever and a stiff neck, you will need some antibiotics. Replacement of fluids lost – electrolytes and fluids that one loses through diarrhea and vomiting need to be replaced. Some adults and children with persistent vomiting or diarrhea should be hospitalized and in the process receive fluids and salts via a vein. Antibiotics – doctors prescribe antibiotics for various bacteria food poisoning when the symptoms are severe. Listeria is treated using IV antibiotics. It is better when the treatment is done early to avoid complications. Note that antibiotics will not help with virus-based food poisoning. Whilst food poisoning is common, you do not have to be one of the statistics. As an Oliviarite, resist. Below are some ways you can resist and prevent food poisoning. Raw foods derived from animals are culprits of contamination. You should be alert when handling and preparing these foods. Poultry and meat: you should avoid eating spoiled or raw meat. In addition to this, you should not let juices or any form of drippings from raw poultry and meat or eggs and shellfish to come into contact with other foods as you prepare to serve. Raw fish and shellfish: Be careful when picking out fish and shellfish and when cooking them ensure they are of high quality and are fresh. And in case I have to say it, that means no sushi guys. You should not under any circumstance drink unpasteurized milk. Pasteurized milk and dairy products go through a heating process to kill bacteria and viruses. You should stay away from soft cheese including brie, feta, blue-veined, Mexican-style and camembert cheese. Also, throw in any type of unpasteurized cheese you know into that list. You should always check eggs expiration dates before purchase and a second time before preparation. Vegetables: these are also common sources of food poisoning. Popular culprits include clover, mung, radish, and alfalfa. Note that all these are sprouts. Usually, this is because sprouting needs warm temperatures which are perfect for the growth of bacteria. If you have a weakened immune system or are pregnant, you should stay away from raw sprouts. The golden rule of thumb of safe cooking is cleanliness. Always wash your hands regularly, and not just after visiting the loo. In addition to washing your hands, you should also wash knives, cutting boards using hot/warm water and antibacterial soap after using them with raw poultry, meat, seafood or even eggs. Wooden cutting boards are not recommended since they prove to be a challenge to clean. Also, you should not thaw foods at room temperature. Shocking right? Instead, you should thaw it in your refrigerator and use it immediately. You should never refreeze foods especially if they have completely thawed. You can use a clean thermometer to check on temperatures of cooked foods. This way, you will be sure that poultry, meat and any other food you prepare is cooked just right – leave the taste and texture for now – we are speaking temperatures. Pause here for a moment. How many times have you stopped to ask yourself the temperature of the food you prepared before deeming it ready to eat? If never, this was my answer as well, you should start now. It is never too late to start living healthy. While the cases of people who have gotten food poisoning from deli counters are rare, pregnant women (and you guessed it), persons with low immunity should avoid them. If you are ever served with an undercooked egg or meat in a restaurant, you should send it back. Also, you should request a new plate. Now, this might make you come across as a douche but hey, I personally prefer that to wincing in pain, alone, in the wee hours of the night – full of diarrhea and regret. Now honestly, we all love to touring, seeing new places and experiencing different climates and cultures. For some of us, were it not for work and other important responsibilities that ground us, we would be on tour all year round. Oh, how I envy individuals with jobs that have them traveling all over the world for ‘business meetings’. At times I tend to think they do not even work while in these business travels, only kidding! So when traveling, you should always go for hot foods. This way you are sure that the heat massacred all harmful bacteria in the food. Lastly, you should eat dry or packaged foods. Most bugs thrive in moist areas. As such, dry foods including chips, bread and the factory sealed foods including tuna are safe bets. We’re in the 21st century where medical care has been industrialized. 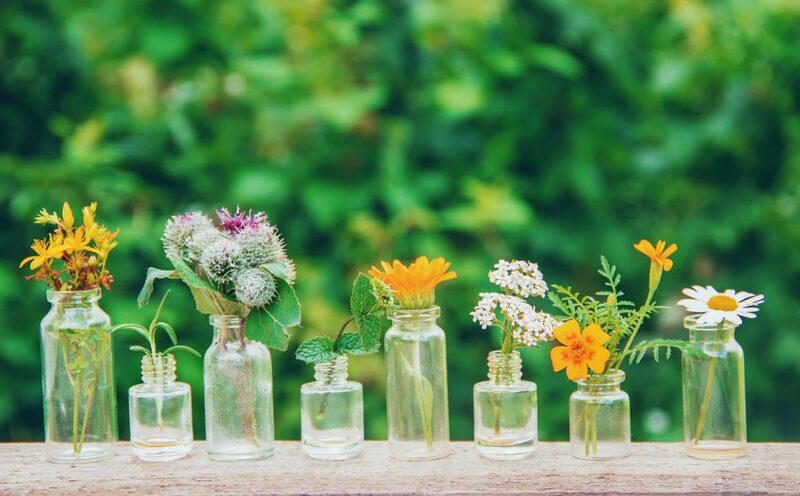 But even then, more and more individuals are starting to see the value of essential oils in treating many of their conditions. 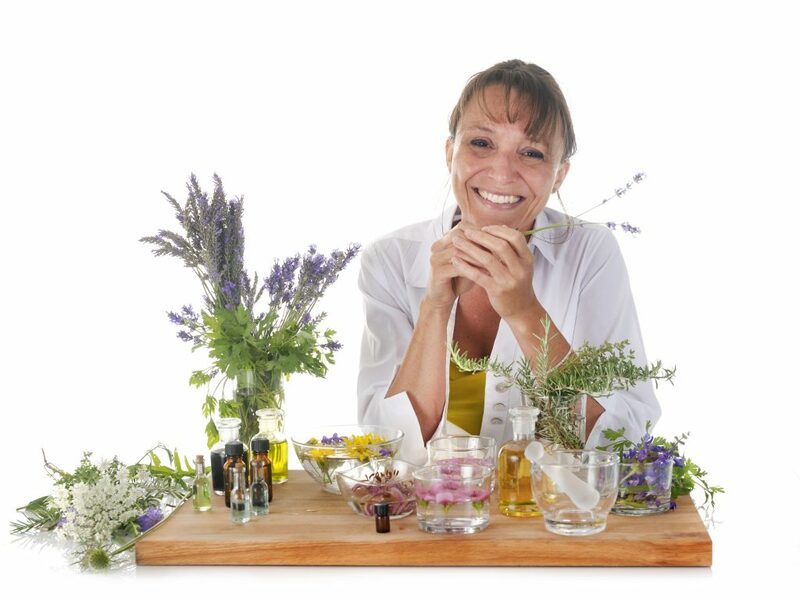 The beauty of essential oils is that they are 100% natural, come with no side effects and studies have proven that they exhibit significant antimicrobial activities against food spoilage bacteria. 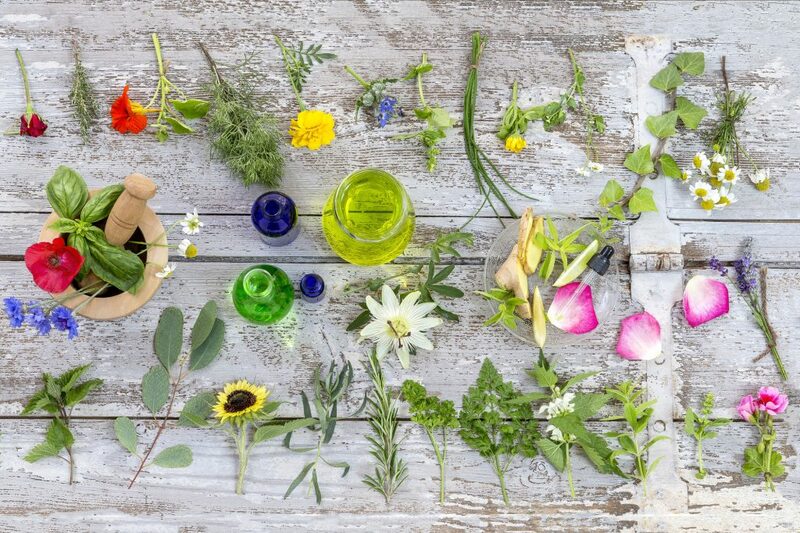 Here’s a quick list of the best essential oils that can help with food poisoning. Melaleuca alternifolia is a small shrub native to southeast Australia. This extract is known for its antiseptic and fungicidal properties that are effective against dandruff, lice, herpes, acne and other skin infections. Australian aborigines have been using this EO to heal their skin infections, burns and wounds. It is also great for treating respiratory infections. While using it to treat your food poisoning, apply it topically to help ease the symptoms. The skin will absorb it into the body and it will work its wonders. This is a classic spice common in most homes. It features antifungal and antibacterial compounds including thymol and carvacrol. Carvacrol kills Candida albicans, Staphylococcus aureus, Pseudomonas aeruginosa Aspergillus mold, Klebsiella, E.coli, Listeria, and Salmonella. 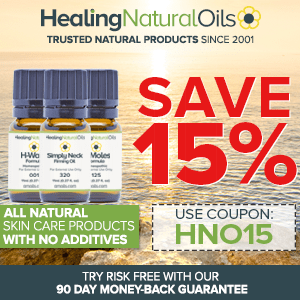 This essential oil can be used topically or if you prefer, internally but in very low doses. Since it is an antioxidant, as well, it will help wounds heal faster. As a herb, Thyme is without a doubt a great healer. However, it is even more powerful as an essential oil. Thyme EO contains antimicrobial abilities that work against food poisoning pathogens by inhibiting the effects of salmonella and staphylococcus bacteria. A study done found out that thyme was the most powerful herb out of 21 herbs chosen for the study. Clove is effective against food poisoning causing bacteria including Listeria, Campylobacter, E.coli, and Staphylococcus. Clove EO generously compliments Thyme EO, which is why it’s wise to use them together for best results. When battling food poisoning, nausea and vomiting are the number one symptoms that will get you down. They will get you dehydrated and make all other symptoms including fever worse. This here blend will not only help rehydrate, It will also kill off pathogens and detoxify your system for a quicker recovery. The lemon EO takes care of detoxification, basil gets rid of nausea and vomiting while coriander seeds EO help with killing the pathogens. Mix the ingredients in a bottle and homogenize. Once ready, massage the blend on your belly using 6-8 drops. Do this 4 times on a daily basis. You can also try 1-2 drops of the same mixture under the tongue once a day. This blend has been specially crafted for kids. But even then, you need to be careful with the dosage and the ingredient amounts you put in. EOs are potent and any deviation from the recipe could cause problems. Mix the ingredients in a bottle and mix thoroughly. Massage 4-6 drops of the blend on your child’s belly 3 times daily. Do not use on kids under 6 years of age. Note that this is a topical blend. You should not ingest it. Sure the skin will absorb the blend eventually. The blend kills pathogens and eases symptoms of food poisoning. Once the ingredients are mixed, apply 5-7 drops of it on your palm and rub it on your stomach for about 2 minutes. Repeat 3 times daily. 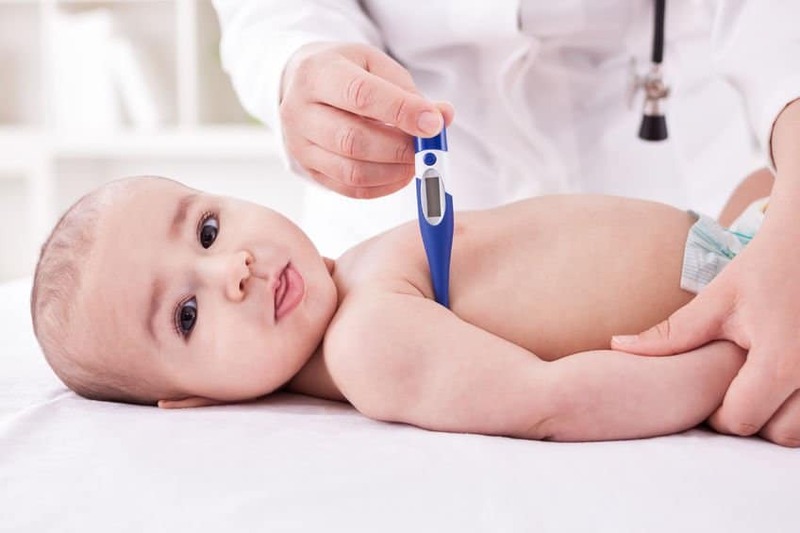 The normal body temperature is about 98.6F anything higher than this and in the ranges of 99.5F is considered as a fever. Depending on the temperatures, the fevers range from mild to severe. At times the temperatures rise to 101F. This blend should help bring down the temperatures. Mix all the ingredients in a tiny dish. Apply the blend on the tip of the ears, the forehead and bottom of the feet. You should reapply the blend every 15 minutes until the fever subsides. Note that it is only for adults and kids above 12 years. Below is one you can use on babies. Babies are very sensitive to EO. When using this blend, it is important that you apply it to parts of their bodies they cannot reach like their spine. This ensures that the blend does not accidentally end up in their eyes or mouth. To make use of this recipe, combine the ingredients in a dish and rub it on the spine. Even on my worst enemy, I would not wish anyone the pain that comes along with food poisoning. The pain is severe. Trust me, even if you usually sleep through an earthquake, this intense pain will shake you violently from slumber. Fortunately, this here blend will bring down the hurt. After mixing the ingredients in a container, you should store the blend in a cool and dry place. Rub the blend on your stomach using your fingers and massage in a clockwise direction as everything in the colon moves in this direction. Food poisoning causes awkward symptoms and should as such be addressed immediately. With the right EOs, you can at least hold down the fort and alleviate symptoms before getting medical help. You can use essential oil and blends to help ease most if not all of the symptoms we saw earlier. The above blends will get you started. While the food poisoning might still have to run its cause, these blends will help speed up the detoxifying progress and reduce the impact that foodborne illnesses have on our bodies. Otherwise, try to watch what you eat – it’ll make all the difference. If you are interested in finding more about foodborne illnesses and the law, click here. While I wholeheartedly agree that you should NEVER, NEVER, NEVER, EVER drink unpasteurized milk from a corporately run dairy farm or CAFO, drinking fresh Raw Milk from an Organic Dairy that practices proper sanitation and sanitary procedures is generally completely safe!! There are MANY, MANY more cases every year of people becoming I’ll from drinking pasteurized milk than from drinking Raw Milk. If you were to drink pasteurized milk that is past the expiration date and turned rancid you will generally become very ill, you could actually even die from drinking rancid pasteurized milk!!! On the other hand, you can take Raw Milk outr of the refrigerator and allow it to sit for a week or more and still drink it with no other effect than it will taste sour. In fact, there are people that intentionally allow Raw Milk to sit out and allow it to sour before drinking it. I have been drinking Raw Milk from an Organic Amish Dairy for many years and have never had a problem. In fact if you do your research, there are numerous health benefits to drinking Raw. The pasteurization process also destroys most of the goodness, most of the benefits and reasons that you are drinking milk in the first place. Raw milk also TASTES TOTALLY AWESOME, to the point that once you drink Raw Milk for many people it is impossible to go back to drinking the white liquid sold in stores as milk!!!! Thanks a lot for taking the time to write. Very interesting thoughts and great explanation. Looks like you really love milk in its raw form. I’ve tried it a while back and not a big fan.